PEMBA, Zambia, Jan 27 2016 (IPS) - With El Nino affecting countries in southern Africa, threatening agricultural production due to a massive heat wave, the World Food Programme has urged the international community to support the upscaling of climate smart agricultural technology for resilience. During her recent visit to Zambia, one of the region’s foremost producers and exporters of maize and other crops, WFP Executive Director, Ertharin Cousin said the situation was a crisis that should not be allowed to degenerate into a disaster. “We need to get organised and not let the situation, which is still at crisis level degenerate into a disaster. I believe there are opportunities that still exist through proven climate-smart techniques such as conservation agriculture,” said Cousin enthusiastically. She said the time has come for the world to ‘walk the talk’ on climate change adaptation, as agreed at the COP 21 Climate Conference in Paris, last year. “What I have seen here in Zambia has proved what I was saying at the climate summit that ‘the furthest behind are the most vulnerable’…therefore, making them resilient should be the ultimate goal for us all. And I am talking adaptation through climate smart technologies and crop diversity,” she said. While the challenge ahead is huge, the WFP chief thinks the future should be defined by hope through what works to help smallholders be more resilient. 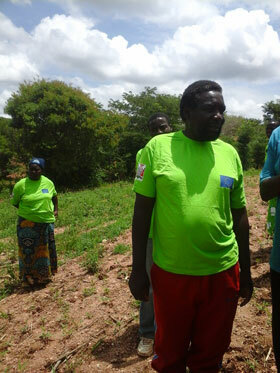 Highlighting the case of Bishop Mweene, a conservation farmer in Pemba district, whose maize crop survived a 22-day dry spell, Cousin believes climate smart agriculture could be a difference between success and failure in a climate changing world. “If what we have seen at the lead farmer is anything to go by, then we have the solutions in our hands. All we need is to upscale these proven technologies to a wider community for them to reap the benefits as he is doing,” Cousin told IPS. Farmer Mweene, 51, boasts of a modern house with iron sheets which he says has been made possible through increased productivity as a result of conservation agriculture —a climate smart agricultural technique that thrives on minimum tillage guaranteeing enough moisture for crops to survive severe dry spells. Through the Conservation Agriculture Scaling Up (CASU) Project by FAO and the Ministry of Agriculture with financial support from the European Union, and now part of index insurance based rural resilience by WFP, Mweene has seen a positive change in his standard of living. “Before this programme, my children were frequently sent back from school for nonpayment of school fees, but not anymore. 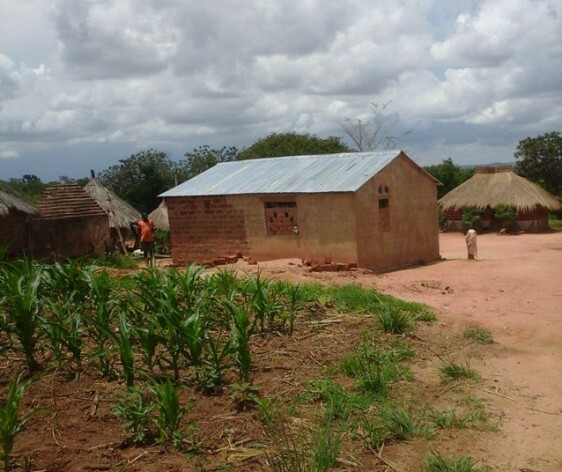 Through increased productivity, I earn more money and I have even managed to build a brick house with iron sheets,” said Mweene, a proud father of 23 children, most of whom have left for urban areas in search of economic opportunities. Southern Province Agricultural Coordinator, Maxwell Choombe says the introduction of insurance for smallholders could hold the key for young people’s active participation in agriculture as a business. “Over the years, youths see agriculture as a risky business but with insurance now, young people could be attracted into agriculture,”, said Choombe. And Stanley Ndhlovu of WFP’s Zambia Rural Resilience Initiative (R4), agrees with this reasoning saying that the major challenge has been the higher risk associated with agriculture which is mainly anchored on rainfall, without which, failure is guaranteed. “R4 is anchored on disaster risk. Over the years, we have realised that the risk in Zambia’s agriculture is growing especially with the weather changes and this is pushing youths away from the sector that has so much potential to lift them out of poverty,” Ndhlovu told IPS. Ndhlovu explained that R4, which was launched last year, is about risk transfer developed, not only to mitigate against climate shocks but also help farmers adapt to the changing climate. “Risk transfer is basically insurance in our case. We know that traditional insurance exists but is out of reach of small scale farmers because it is too expensive and most insurance players consider it too risk to support the smallholder sector. Our (WFP’s) intervention is therefore weather-based index insurance—insuring against rain and not the crop,” explained Ndhlovu. According to Ndhlovu, the index insurance component has been developed in such a way that it uses, for now, satellite information to trigger a payout to farmers based on the rainfall received, focusing on critical periods in the rainfall calendar. Coupled with prudent risk or credit to support investment and risk reserves or savings, WFP has prioritized weather index through the establishment of an automated weather station in the community and manual rain-gauge stations in selected areas for the farmers’ timely decision making. With five hundred farmers already insured at a total value of over 77,000 dollars, calls for up-scaling may not be misplaced. “For the past year, I have seen the positive effects of insurance for smallholder farmers. Apart from improved living standards, farmers now have confidence to get credit and I think this project is the best thing that could have happened to rural farmers,” said Angela Mushasho, the Agricultural Camp Extension Officer in the pilot project area. While such projects are meant to build the medium and long term capacity of smallholders, the country’s top leadership is looking at the immediate food requirements that are likely to emanate from the poor rainfall showing being experienced. “We are looking at possibilities of importing maize. But we are still in discussions with all concerned stakeholders, for example, replanting of early maturing varieties to salvage what we can before resorting to the last option of whether we might need to import maize,” said Republican President, Edgar Lungu. Based on the rainfall pattern so far, the president’s emergency plan may not be far from reality considering that the Southern African country did not receive enough rainfall in the last rainy season. The situation affected agricultural production, forcing government to provide relief food to at least 133, 000 households countrywide. In a year when drought and the global El Niño weather event are having a severe impact particularly on smallholder farmers who account for most of the region’s agricultural production, Zambia and the entire Southern African region is bracing for tough times ahead.